The trains are an important form of transportation by locals in Vietnam on a daily basis. 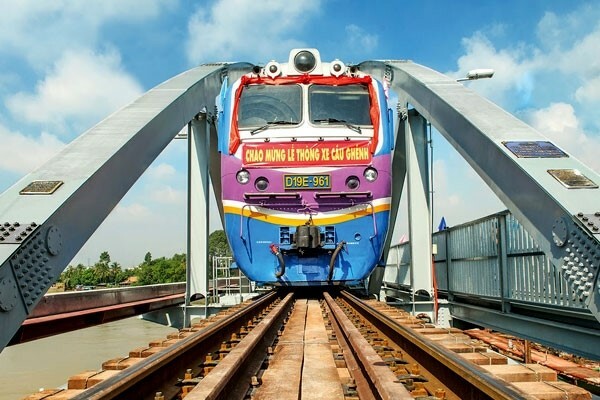 Vietnam National Railway (VNR) or locally known as Duong Sat Viet Nam serves numerous trips to the cities within the country. Since Vietnam National Railway’s e-ticking system was launched in 2014, it made it very convenient for travellers to book their Vietnam train tickets in advance and now it is also available on Easybook too! Travelling by train in Vietnam is one of the safest, comfortable and inexpensive way to get around this amazing country, which is also a truly a great Asian experience as passengers have the opportunity to interact with the locals as well. It is important to have a hassle-free experience when it comes to travelling, which is why Vietnam National Railway allows travellers to be able to avoid the process of checking-in, bag collection and many others. Visit this amazing Southeast Asian country that is famous for its Buddhist pagodas, city lifestyle, beaches and food upon making the online booking for Vietnam railways tickets through Easybook within minutes at any time or place. Whether it is to a trip to check out the hillside temple of Po Nagar in Nha Trang or the beautiful Saigon Central Post Office in Ho Chi Minh City or also familiarly known as Saigon, we want to help kick start the trip for you. Vietnam National Railway offer great luxury train to first class sleeper train that are all air-conditioned with comfortable berths and seats. Travellers can find many great reviews for this Vietnam railway company as well. Unlike planes, trains allow passengers to bring large and heavy luggage without any size restrictions. Spend time on the train to do other things like reading a good book or catching up with your favourite TV shows on the Vietnam trains. Travelling by train in Vietnam is value for money without having to pay for gas, tolls and other maintenance that comes with being on the road. Passengers would be able to stretch out along the carriage walkway when they feel restless. Suitable and convenient for all ages, which allows the entire family to travel by train in Vietnam. No such thing as traffic jams when boarding the Vietnam National Railway trains. Sleeper train is able to save on hotel bill when travelling long distance. Seeing different sides of each towns during the luxury train journey to the destination. Select the place you wish to board Vietnam National Railway from and the destination, then choose the travel date to see the full schedule of the trips by train available on that day. Click on the preferred time, choose the seats, fill in the particular details and make the online booking payment safely for this Vietnam railway service. As the largest land and sea transportation online booking website in Southeast Asia, the process of getting a train ticket can take less than 5 minutes. Travellers can also check out this simple steps on how to use Easybook guide we have prepared for you. Make sure to check our website and social media pages regularly to find great promotions for the next trip to Vietnam too. Easybook looks forward to serving your next trip with Vietnam National Railway!